My Favorite Indigents by Carrie Robbins received its First Stage Reading at the Dramatist Guild Fund in February 2016. 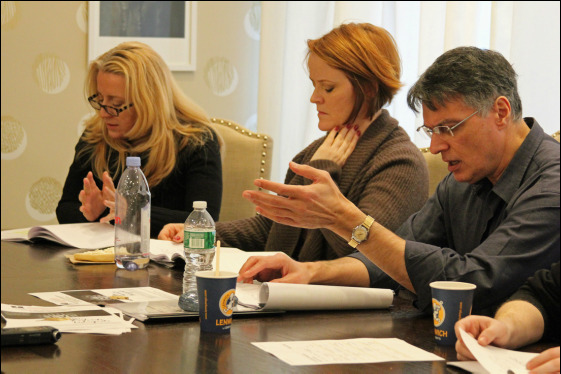 The cast included Erika Rolfsrud, Robert Cuciolli, Mimi Turque, Kristie Dale Sanders, and John Neiderer. 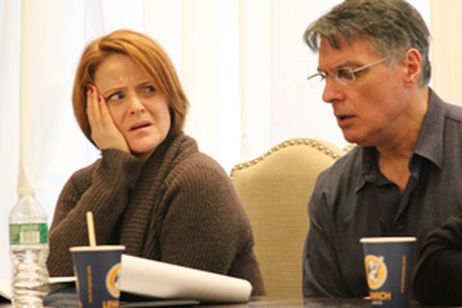 Kristie Dale Sanders, Erika Rolfsrud and Robert Cuciolli in My Favorite Indigents, a reading by Carrie Robbins. Photo credit, Emily Hewitt. Robert Cuciolli and Erika Rolfsrud in My Favorite Indigents, a reading by Carrie Robbins. Photo credit, Emily Hewitt.